Kota Kinabalu formerly known as Jesselton, is the state capital of Sabah, Malaysia and the capital of the Kota Kinabalu District. It is also the capital of the West Coast Division of Sabah. 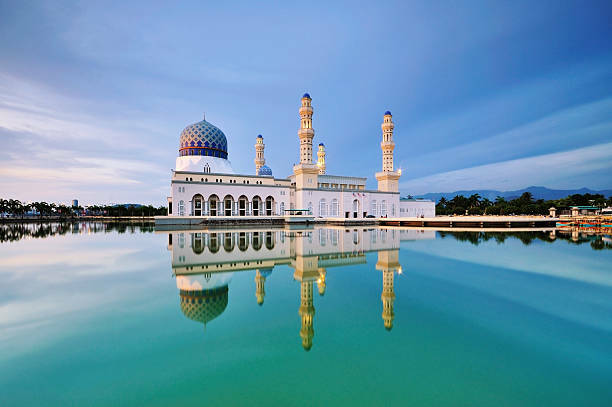 The city is located on the northwest coast of Borneo facing the South China Sea. The Tunku Abdul Rahman National Park lies to its west and Mount Kinabalu, which gave the city its name, is located to its east. Kota Kinabalu has a population of 452,058 according to the 2010 census; when the adjacent Penampang and Putatan districts are included, the metro area has a combined population of 628,725. In the 15th century, the area of Kota Kinabalu was under the influence of Bruneian Empire. In the 19th century, the British North Borneo Company (BNBC) first set up a settlement near the Gaya Island. However, it was destroyed by fire in 1897 by a local leader named Mat Salleh. In July 1899, the place located opposite to the Gaya Island was identified as a suitable place for settlements. Development in the area was started soon after that; and the place was named "Api-api" before it was renamed after the vice-chairman of BNBC as "Jesselton". Jesselton became a major trading port in the area, and was connected to the North Borneo Railway. Jesselton was largely destroyed during World War II. The Japanese occupation of Jesselton provoked several local uprisings notably the Jesselton Revolt but they were eventually defeated by the Japanese. After the war, BNBC was unable to finance the high cost of reconstructions and the place was ceded to the British Crown Colony. 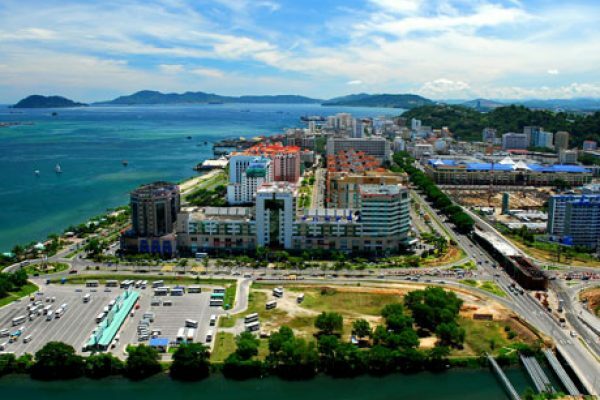 The British Crown declared Jesselton as the new capital of North Borneo in 1946 and started to rebuild the town. After the formation of Malaysia, North Borneo was renamed as Sabah. In 1967, Jesselton was renamed as Kota Kinabalu, Kota being the Malay word for Fort and Kinabalu after the nearby Mount Kinabalu. Kota Kinabalu was granted city status in 2000.